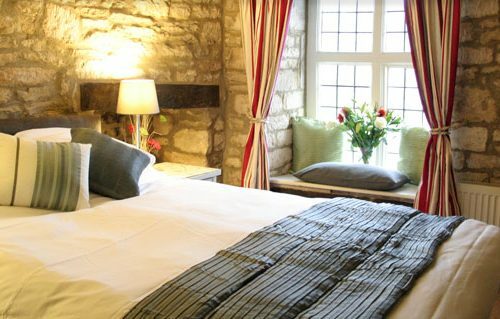 Dinner, Bed and Breakfast, Sunday to Thursday, £60.00 per person per night (Nov – Apr) £70.00 per person per night (May-Oct), based on two people sharing a room. Includes three-course evening meal and Full English Breakfast. 01451 830364 quoting ‘Dinner, Bed and Breakfast Offer’. Two nights Bed and Breakfast, Sunday and Monday nights Only £150.00, based on 2 people sharing a standard room. Includes a free Sunday Roast! Bookings must be made direct via email (info@kingsarmsstow.co.uk) or by calling 01451 830364 quoting ‘Sunday Roast Stay Offer’. 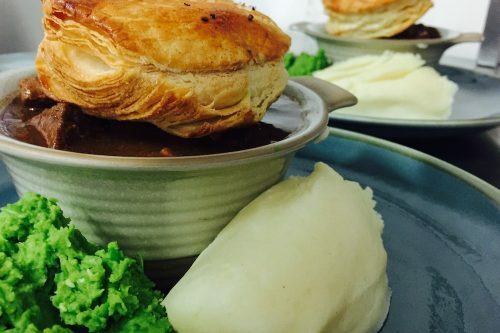 Choice of Homemade Pot Pie’s served with Creamy Mash or Chips and a Pint (or soft drink). Only £12.00! every Wednesday. 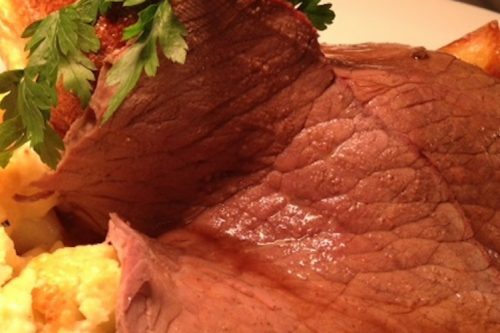 Book your table via email (info@kingsarmsstow.co.uk) or by calling 01451 830364. 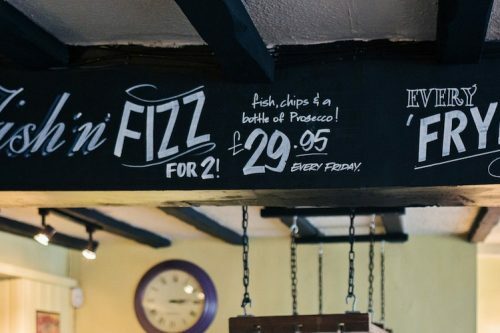 Fish, Chips and Mushy Peas for two, with a bottle of Prosecco. Only £29.95!